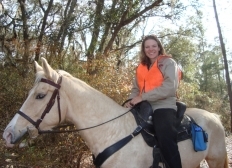 We at Red Oak Farms occasionally offer our horses for sale or assist in leasing one of our boarded horses. We pride ourselves on our "honesty first policy". Your safety and the horse's happiness are our first and foremost priorities! If you don't see what you are looking for here then give us a call and we would be happy to assist in your search for the right equine partner. We encourage you to have any sale horse that you are seriously considering vet checked prior to making an offer. We have two horses available for purchase. Both are rescues and have been professionally retrained and checked out. They have been with us for a year now, teaching lessons for us. Both are great trail horses and will do ring work. Loxley is approx 18 years old, palomino Appaloosa with blanket. Bourbon is a 8 yr old bay Arab cross. 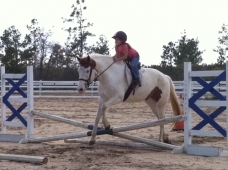 Both are geldings, approx 14.2, easy to work with and have no health issues or vices. Call for more info or price Amy 850-867-8478. There is always a price break if they continue to board with us for 3 months after purchase. 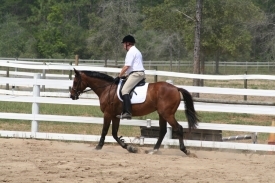 Guine is a 12 year old Tennessee Walking Horse 14.2H available for lease to a confident beginner or intermediate rider. Everyone knows blondes have more fun! She is a great trail horse with a sweet disposition.